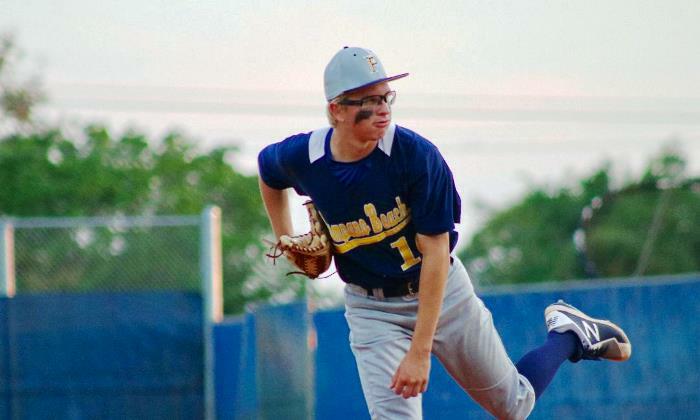 The Pompano baseball team received some bad news last summer when they learned that their Manager, Joe Giummule had stepped down. Giummule took the manager position at Taravella after being offered a teaching job and a chance to be closer to his Coral Springs home. When the news was announced, the Golden Tornadoes shifted their attention towards preparing for the 2019 season, and when the schedule came out, one can only imagine that the players had Friday night circled. Last night, Pompano traveled to Taravella to take on Giummule and his new team, the Trojans. On this night, with some extra motivation on their side, the Golden Tornadoes rallied from a 3-1 sixth inning deficit with a run in the sixth and two more in the seventh, and then held on as closer Riley Skeen struck out the final Trojan batter and proceeded to do a backflip before being surrounded by a celebrating Pompano team. The teams came in as two of the hottest in Broward, with Pompano winning their past three, and Taravella their past four. Early on, it looked as though neither team would give an inch, with the Golden Tornadoes Blake Thomas and Trojans Justin Diaz matching zeroes through the first three innings. In the fourth, Pompano broke through with the first run of the game when Bryce Pratt walked, Jordan Campos singled, and Matt McCrory walked, loading the bases. After a fielder’s choice, Matias Munoz singled in Campos. The inning could have been much worse, but Diaz was able to strike out the final two batters of the frame. In the fifth, the Taravella offense would finally get going. Mike Sinclair, Stefano Libio, and David Reyes had consecutive one-out singles. Nathanael Slotkin then cleared the bases with a three-run double. Pompano immediately responded in the sixth loading the bases with one out. After a strikeout, Taravella again looked like it would escape a big jam, but a passed ball allowed Drew Storm to score and cut the lead to 3-2. In the seventh, the Golden Tornadoes found some more offensive magic. Pratt and Campos had one out walks, and a Gennaro Caianiello single tied the game at three. mcCrory then scored what would become the winning run, before Caianiello was caught on the basepaths for the third out. 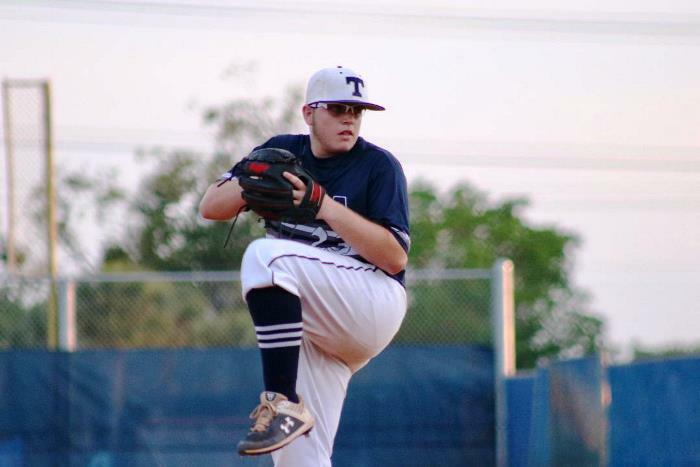 In the bottom half, the Trojans went quietly, as Skeen struck out the final two batters of the game, and gave Pompano their fourth straight win. Despite the loss on an emotional night, Giummule was gracious after the game to his former team and players, while also reflecting on his own teams performance. Taravella will get back to district play next week, with home games against Coral Springs and Douglas. The Trojans should have a good idea where they will be in the district playoffs after the week. Pompano also heads back to district play, hosting two of the district front-runners North Broward Prep and Coral Springs Charter.